If you have a tack shop, a coffee shop, a restaurant, a house, a tack room, a spare wall anywhere, I’ve got cool stuff for you to buy. Some of my favorite shots are now up in my Redbubble shop, paying tribute to foxhunting and the fine sport of eventing. Made a color wheel with watercolors for the first time ever. I had art books when I was a kid–lots of them, actually–but never an art class. It was only after college that I decided to make a concerted effort to get better at drawing. My first move was to buy a coffee table book of Da Vinci’s sketches. That helped. Mostly just buckling down and practicing at all helped. My mother-in-law is a painter and is offering friendly classes out of her home now. I think I’m going to learn a lot. What is it about fences? Midas is a foxhunter. Though, he hasn’t gone much in the past 4 years. The hunt he typically goes out with isn’t really a break-neck crazy crew. They jump teeny logs at a run through the woods, sure, but if they come up to anything remotely serious they stop and going over one at a time in a pretty orderly fashion. Midas is fully capable of jumping big fences from a trot. But when we first started popping him over tiny jumps he charged them. Like, itsy bitsy x rails and he would launch at them from several strides away and hurl himself over, often bucking on the other side. I noticed that he often bucked after hopping logs, too. It could just be exuberance. We spent two summers casually sneaking in work over small jumps, endeavoring to teach Midas that jumps are casual affairs. No charging necessary or desired. Last year the fruits of that labor really started to show, we could randomly and casually take a little bounce that was set up in a corner of the ring. Midas would ride up like a gentleman, own the bounce in style, and canter out slowly. He was happy, we were happy. Well, then we upped the anti–maybe too much?–with that little jumper show. We schooled pretty hard for it in the few days beforehand, and then had a very exciting little show. In which Midas owned the trotted x rails with only a little nervous rushing, and then we had a disaster on the 2′ fences, and then we came back and jumped individual fences quietly, but didn’t even remotely mess with doing a course. Now, in the midst of prep for the show my trainer asked me to pick up canter with the intent to canter jump. Midas did something he hasn’t done at home with me–ever–and gave a genuine buck and took off. He didn’t get far, I stopped him, and then we had a nice obedient canter depart and left cantering fences for a different day. By the end of the lesson he was being a serious champ about trotting whatever combination I asked of him. Even some with tricky steering. So, at the show, he kind of ducked and crow hopped after almost every 2′ fence. Except fence 4, which according to the trainer there was an inviting fence–and fence 5, which was the first of a simple line that had three canter strides between 5 and 6. Well, shame on me, I didn’t sit up enough for those canter strides, got jumped out of the tack on 6 and this time fell off when he did his duck and crow hop routine. Then we had digging out to do in the warm up, and it didn’t occur to me until too late today that Midas hasn’t jumped a combination since then. I’ve been traveling, we’ve had visitors, and I felt like I had a bit of sweeping up to do to remind him of all the things that haven’t changed. The ride, up until the moment he pointed Midas at the combination, had been exceptionally quiet and easy going. But Midas launched himself at the first x rail and then lurched sideways–running out from the second fence and making for the gate. The Ham rode the run-out fine, but the saddle slipped onto Midas’s side and the poor Ham was dumped roughly on his back. Midas stopped a few feet away and stood like a statue. He didn’t move a muscle and starred at the Ham as the poor guy struggled to catch the wind that had been knocked out of him. Once the Ham was on his feet again I went to Midas, who continued to stand so still that I was afraid he was hurt. I checked him over. Nothing that I could see. I fixed the saddle, tightened the girth, led him to the mounting block and got on. He felt sound but hesitant. Like he expected something bad to happen. We did some transitions up and down, he wasn’t wound up, but rather hesitant and almost nervous. We went to grassy area with the teensy x rails and walked around them. He was nervous again–now Midas’s nerves do not mean skittishness and shying generally, Midas nerves mean head up and charging. We walked over the tiny jumps, threw in some trot transitions. Each time he would seize up and get tense, and I’d have him walk again. I had the Ham put the tiny x rails down to poles and we walked and trotted over those both ways, then he put one up to an x rail and we walked and trotted that a couple times. Midas would start to tense, then listen when I soothed him. He trotted the solitary x rail reasonably, even if he needed to be ridden up to the base as if it were a big scary jump. Then the Ham got back on, good man, and basically started the whole procedure over again from scratch. They didn’t get to popping over the one jump, but they started from a more nervous place and ended relaxed. Mostly relaxed, anyway. I’ve noticed that when there is a fall, Midas gets freaky about what he was doing when the fall happened. Never mind that he’s usually a contributing factor to the fall, but he gets squirrely about doing that thing again. Susu, our trainer, with whom we only get to ride a few times a year, says that he doesn’t have any tools in his toolbox to deal with jumping. He’s got athletic ability, and has relied on that to survive. This would explain the charging. I know that I don’t have a lot of experience cantering fences (neither does the Ham). I was never stellar at seeing distances, and only cantered courses a handful of times in my high school days (yay for the constraints of a 20 x 40 dirt arena in the north). There just hasn’t been opportunity since. I know that I don’t necessarily ride him as strongly as he might want or need when there are two fences in a row. So there is that. This would explain the abashed behavior when people fall off. He always seems so surprised when he loses a rider. If Monty Roberts is right about the wiring of horses, I need to approach this the same way I would approach a person who had something scary happen. Keeping at it in as low pressure of a fashion with as much support as he needs to not panic and figure out that he can, in fact, handle it. Note: This post originally appeared 8/16/2012 on my other blog. This brings us to The Dark Knight Rises. Spoiler Alert. Just in case you still haven’t seen the movie. Though, it’s been out so long that all plot points are fair game. A perceptive youtuber made this Batman trilogy supertrailer with a voiceover from the Prestige (conveniently, it’s Michael Caine’s voice, who you hear as Alfred): And truly, if Nolan had to do major re-thinking of his trilogy after the death of Heath Ledger, the story did not suffer. Dark Knight mostly stood on its own, even though it built on the foundation of Batman Begins. 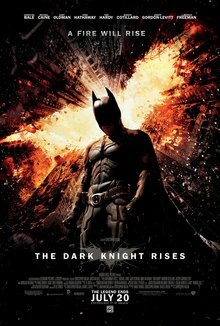 TDKR, however, really relied heavily on the prequels and in a sense knit them together into a complete whole. 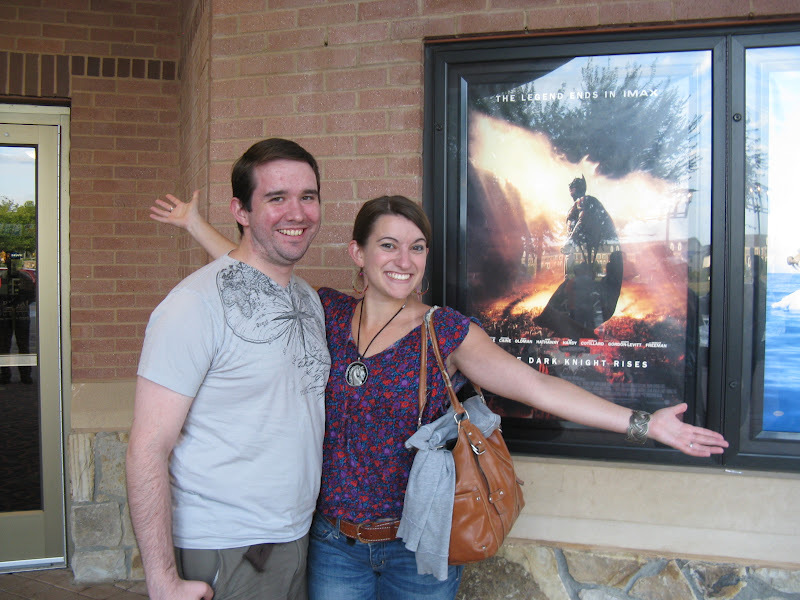 I was completely torn about going to see TDKR, but had to since I’d seen TDK. I kept comforting myself that I would get to see Anne Hathaway as Catwoman (and she did an excellent job). I’m glad I went–though I was wound very tight until about halfway through the movie when I realized it wasn’t going the direction I thought it would. The last act of the trilogy, the prestige, itself has three acts, the descent, the pit, and the rise. TDKR takes place 8 years after TDK. 8 years of the noble lie cleaning up Gotham’s streets and tortuing Gordon’s soul, and Bruce Wayne holing up like a hermit in Wayne Manor (rebuilt after the ashes of Batman Begins!) while nursing his (physical and emotional) injuries from his fall in TDK. Bruce and Gordon are struggling with the effects of their big fat noble lie. Bruce still thinks it was a good idea–but he is definitely not facing his pain about Rachel’s death, Dent’s fall, and Batman’s scapegoat status. He’s driving Alfred crazy. I don’t think Alfred can quite decide what a healthy Bruce would look like, but he knows that what he’s looking at is not it. By the way, even Alfred told a lie at the end of TDK, and he regrets that he hid Rachel’s choice from Bruce (she chose Dent). Alfred’s chief fear is that Bruce is not interested in living. The only glimmer of life in Bruce’s eyes comes from Selina Kyle–the Catwoman. He catches her breaking into a safe in his house and is clearly intrigued by her. He sees something to her that most don’t. She’s a catthief with emotional issues that make her a little more complicated than others. He puzzles her a bit, too. That stupidly rich (but, admittedly handsome once he cleaned up) hermit who didn’t turn her in to the police but was fully capable of tracking her down himself. Alfred: [about Selina Kyle] You two should exchange notes over coffee. Bruce Wayne: So now you’re trying to set me up with a jewel thief? Alfred: At this point, I’d set you up with a chimpanzee if it’d brought you back to the world! The spark brought by both Selina and the mysterious person she is working for fans into flame when Bane shows up. Bruce is glad of the chance to be Batman again. He rather blithely steps back into the cowl (against Alfred’s wishes, see “not interested in living” above) with little preparation and walks right into the first villain who is physically stronger than Batman. Batman is promptly defeated and sent to hell. Bane’s definition of hell is a place that holds out a little thread of false hope–leaving you to hope and have your hopes dashed again and again because there really is no way out. Bruce Wayne: Why didn’t you just… kill me? Bane: You don’t fear death… You welcome it. Your punishment must be more severe. Living in hell isn’t on Bruce’s list of things to do. He wants to die, but has a deep inner obligation to die fighting. Bruce talks in circles with a doctor who has lived in the pit for years. The doctor helps fix Bruce’s back, but also gets him to admit that he doesn’t fear death, and that’s part of his problem. There is a difference between risking your life for someone and wanting to live, and risking your life for someone and wanting to die. You’re much more likely to fail when you don’t desire life enough to try harder than you think you can (see chapter 10 of The Horse and His Boy by C.S. Lewis). When Bruce realizes that he has to let go of his martyr complex, his deathwish, and the idea that he’s irrepairbly broken (body and soul), then he has what it takes to rise from the pit. He had to let go of failure, of Dent, of Rachel, of his parents’ murder, and do what Alfred had been trying to get him to do: embrace life. Bane: So, you came back to die with your city. Batman: No. I came back to stop you. Bruce Wayne, back from the dead, once again fit and filled with new zeal, makes his way back to Gotham–back to the world. In many ways, the pit was the only thing that brought Batman back and made Batman the legend he was meant to be. While he was gone Bane ruthlessly undid the noble lie as part of his undoing of Gotham–he tore down the white knight who was their shining example and used that as justification for the Reign of Terror. It was hard not to watch Bane’s rule without thinking of the French Revolution. Anyone who could be deemed a “have” was evil and overrun by anyone who could be deemed a “have not.” To have was to be evil, unless of course you were a have not three seconds ago. Hate to get into politics, but it also bears resemblance to a certain movement whose main complaint is that some people have more than they do (but they are unwilling to share their ipads with the homeless guys who don’t have ipads). Bane: We take Gotham from the corrupt! The rich! The oppressors of generations who have kept you down with myths of opportunity, and we give it back to you… the people. Gotham is yours. None shall interfere. Do as you please. Start by storming Blackgate, and freeing the oppressed! Step forward those who would serve. For and army will be raised. The powerful will be ripped from their decadent nests, and cast out into the cold world that we know and endure. Courts will be convened. Spoils will be enjoyed. Blood will be shed. The police will survive, as they learn to serve true justice. This great city… it will endure. Gotham will survive! This is the lie Bane feeds the people to encourage them to destroy themselves and descend into chaos. Gotham does descend. There is a moral group that struggles to get by keeping its head down–the police force has been trapped in the train system underground and has done nothing but count the days till they can get out to reckon with the escapees from Arkam. Oh yeah, and there is a deteriorating nuclear-type-bomb rolling through the streets, which will eventually go off after a period of Bane’s torturous false hope. To all this madness returns the Batman–more a man than he has ever been before. He finds his allies, makes allies out of others–namely Selina Kyle–and sets about systematically warring against Bane. Catwoman joins forces with Batman because Bane’s Gotham was never something she wanted. She’s also kinda stuck on the guy who has displayed unprecedented forgiveness and faith in her (perhaps the film could have been the Redemption of Selina Kyle). Plus, she’s definitely a girl more his speed than any others he’s had in his life. In the end, it’s a pretty awesome climax. A fitting end for Batman’s journey that started when his parents were murdered in a dark alley. He has finally found himself, and only now could he truly sacrifice himself for Gotham. Batman: A hero can be anyone. Even a man doing something as simple and reassuring as putting a coat around a little boy’s shoulders to let him know that the world hadn’t ended. Others have commented that TDKR was not as realistic as TDK, and I would agree. The plot has a few more fantastical elements that require suspension of disbelief–or require you to remember that this is actually a comic book movie. It’s also interesting to note that the passage read at a certain key funeral at the end of the film is from Dicken’s A Tale of Two Cities, (a story set during the Reign of Terror, incidentally). The passage is from Sydney Carton’s final words before he goes to the guillotine in place of Darney (the man loved by the woman Sydney Carton loves). I see a beautiful city and a brilliant people rising from this abyss. I see the lives for which I lay down my life, peaceful, useful, prosperous and happy. I see that I hold a sanctuary in their hearts, and in the hearts of their descendants, generations hence. It is a far, far better thing that I do, than I have ever done; it is a far, far better rest that I go to, than I have ever known. I’m growing to love this movie, actually. It’s a nuanced and rich story, with many themes, many good points, and many quotes. It’s not heavy handed, it’s a story that speaks for itself. I’m hesitant to really give away the ending, even though most folks have seen it by now. Suffice to say that I was happy. Gotham has the hero it needs, and Bruce Wayne has finally found peace.